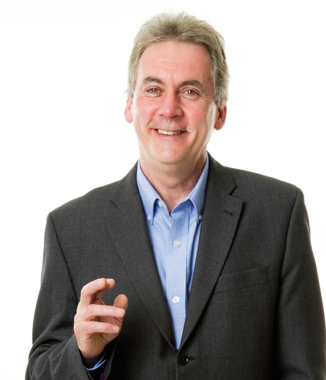 Paul Hemphill, the founder of Horizons Life Coaching, is a confident and popular workshop leader and public speaker. He has considerable experience of giving wellbeing presentations at conferences and seminars. He also delivers workshops and courses on a range of topics, including both positive psychology and stress management. Paul has previously delivered two workshops for professional coaches on the subject of Positive Psychology for the Association for Coaching. They have been based on exploring how the principles of positive psychology can be used to help inform workplace wellbeing and productivity. Please don't hesitate to contact Paul if you would like to book him to deliver similar a similar workshop for your own company or organisation. He would be delighted to hear from you. The Horizons Wellbeing Course is aimed at helping individuals lead happier, more fulfilled lives, based on the principles of positive psychology. It can be delivered through community health services, charities or any group which is interested in improving its members' sense of wellbeing . The course is suitable for up to 12 people and can transform the participant's lives and their levels of confidence and enthusiasm. Each week for 6 weeks a two hour workshop session encourages discussion and exercises on a particular aspect of happiness and wellbeing. The sessions are lively and engaging and generate a lot of laughter and mutual support. Between each session participants are asked to carry out a homework exercise to put their new learning into practice. Organisations who have commissioned Horizons Coaching to deliver Wellbeing Courses to various client groups include Gentoo (Housing Association), Washington Mind, Barnardos, and The Home Group. Progress can be assessed by asking clients to complete the NHS Wellbeing Survey at the start and end of the course. To date, participants have shown an average 37.5% increase in the sense of wellbeing by attending the course and as a result making appropriate changes to their lives or ways of thinking. Please do not hesitate to contact Paul if you would like to find out more about the course. Paul is also available to book as a key note speaker on positive psychology and ways to improve your happiness and wellbeing at major industry and Association conferences. The Tyneside Connect Business Networking Group. If you are a Conference Organser looking for a motivational speaker to add some sparkle to your next event, please don't hesitate to contact Paul to discuss your requirements in more detail.